Kourtney Kardashian Allegedly Causing Scott Disick and Sofia Richie to Fight; Is the 'KUWTK' Star Really Tearing Them Apart? ‘Boruto’ Chapter 34 Release Date, Spoilers: How Naruto Exposes His Biggest Weakness, Unable to Beat Jigen? ‘Westworld’ Season 3 Release Date Update: It’s Official — Series Arrives 2020; Premieres Close to ‘Game of Thrones’ Prequel? 'SEAL Team' Season 2 Episode 20 Air Date, Spoilers: Who Will Leave the Team? Jason or Ray? George R.R. Martin ended 2018 with the promise that finishing “The Winds of Winter” is his current top-priority. However, a recent fan theory suggests that his effort might still not be enough to launch the book before the premiere of “Game of Thrones” season 8. 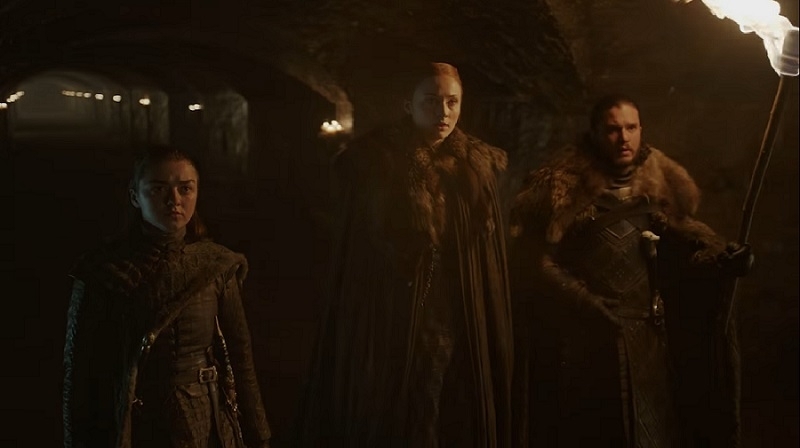 HBO recently announced that “Game of Thrones” season 8 will start airing on April 14, which is just about three months away. Reddit user u/tasteandtest suggested, based on Martin’s “The Winds of Winter” updates in early 2016, that he might need at least six more months to finish the book. Martin admitted in January 2016 that he had missed two “The Winds of Winter” deadlines. He revealed that, in May 2015, he promised the publishers and thought he could deliver “the completed manuscript” by Halloween 2015. Martin might have also hinted that “Game of Thrones” season 8 will precede the release “The Winds of Winter” in the same blog post. The author advised fans that they have “a few other cool things” to look forward to while waiting for the book. “You have the final season of ‘GAME OF THRONES’ coming, and the new show that is not yet officially called ‘THE LONG NIGHT’ being cast, and a couple more shows still being scripted,” Martin added.